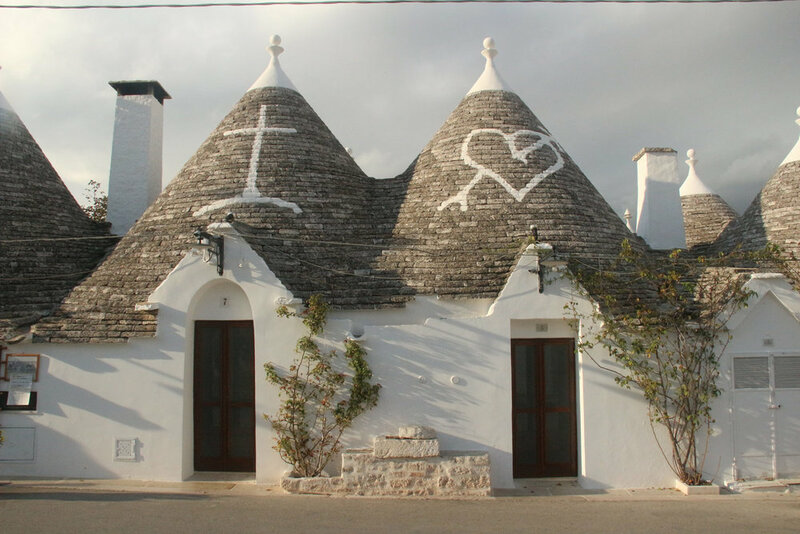 Like all tourists, we started here, in Alberobello, town of the trulli. Claudio always promised to take me to Puglia. Outside of Piedmont it’s his favorite place to eat. And that was plain to see. He’d return from his Ciclismo Classico bike tours with an inflated pancia, which made it hard to reach the drop handlebars without his belly getting in the way. 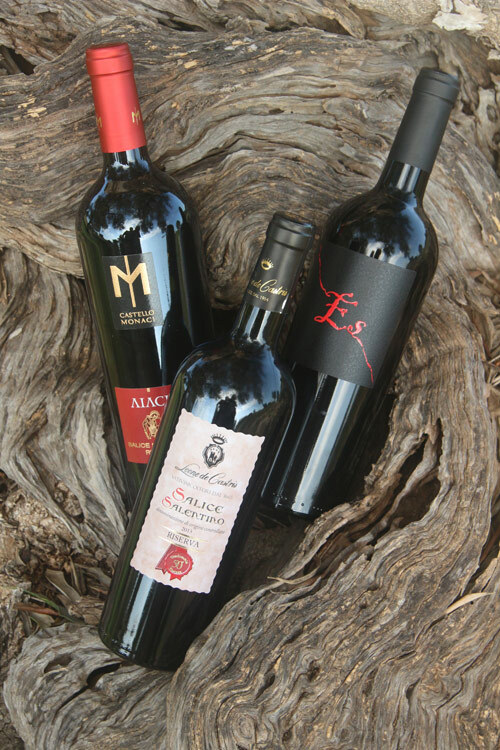 But for me, the lure of Puglia was its wines: Primitivo, Zin’s genetic twin; Salice Salentino, the go-to wine of my youth; and all those splendid rosés. We finally made it there last fall. The idea was to take an honest-to-god vacation: Drive down the Salento coast and hit the Baroque port towns— Oltranto, Gallipoli, Lecce—as we circled the tip of the peninsula. Those visits wound up being the best part of the trip. Fall is an odd time to visit Puglia, a region that’s all about the seashore. By October, everyone had rolled up their beach towels and gone home. The seaside communities were ghost towns, and country inns and restaurants had closed for the season. It was pretty desolate on the shore. And most of all, the long conversations with winemakers and winery staff. They were so generous with their time, driving us to various vineyards near and far, and offering insights into the history, challenges, and goals of Puglia’s wine world. My feature story, which appeared in the April 2017 issue of Tastes of Italia, barely scratched the surface. (Download a PDF here.) But I did my best in 1700 words. And we didn’t even get to the Castel del Monte region, where they make Nero di Troia—my newest infatuation. I promise myself here and now, that’ll be the next trip. Salice salentino and primitivo pose for their beauty shot. Centenarian olive trees that served as my bottle backdrop. Gianfranco fino, the self-proclaimed "archaeologist of the vineyards," with his 50-year-old bush-trained Primitivo vines. A selection of local rosés. Puglia is one of the only regions in Italy with a longstanding tradition of drinking rosé.